Online shopping is a relatively new phenomenon. While some consumers may have experience buying Christmas gifts online, it's unlikely that they've ever made a purchase as significant as a vehicle. Online dealerships have started popping up over the past year, and it's likely that they'll continue to grow in popularity. If you find yourself seeking a new car, you'll probably be considering the conveniences of purchasing online. Sure, there a number of reputable online dealerships, and a quick search of customer reviews should indicate whether the seller can be trusted. However, if you're buying from a private dealer, can you be confident that they're being sincere? The safest answer is "no." Do not trust what these anonymous individuals are trying to tell you. While they may be claiming that their vehicle is working in tip-top shape, there's a good chance that the car may be accompanied by some issues. Furthermore, these dealers are masters at temporarily covering any potential problems, so while it may not look like there's anything wrong... that may not necessarily be the case. If you find yourself talking deals with a private seller, make sure you've compiled as much history on the automobile as possible. You can get a vehicle history report online, and that will alert you of whether the car has seen significant problems in the past. You'll also want to give the vehicle a test ride. Besides determining whether the vehicle is the correct fit for you, a quick stroll around the neighborhood could help indicate any issues. Finally, if the seller is willing, you should get the vehicle checked out by a trusted mechanic. Sure, this may be true for actual dealerships (although the sentiment is a bit shortsighted), but it doesn't have much of an impact when purchasing a car on the internet. 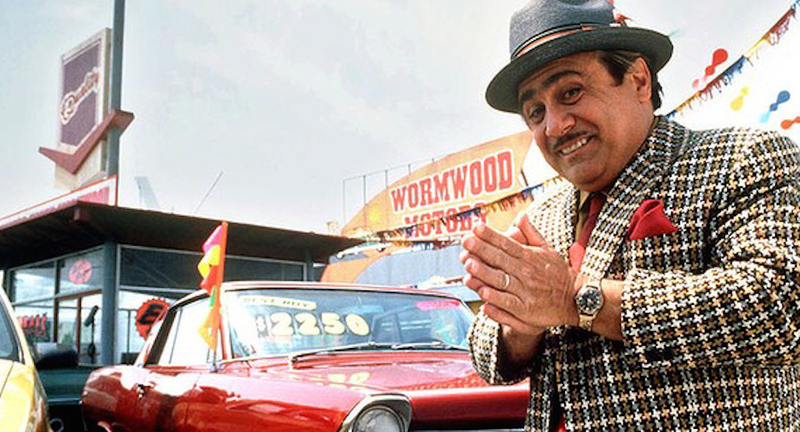 The logic goes like this: dealers are looking to push up their monthly or annual sales quotas, and they'll do whatever it takes to get that one final deal done. Considering their willingness to move units, you'll get an exclusive deal that won't be around next week. Furthermore, in regards to a "year-end" sale, dealerships will soon be getting next year's models, meaning they'll want to clear out some of their previous year's inventory. However, there's no kind of timeline like that when it comes to online dealers, as many don't have a giant brand that they have to report back to. They're willing to wait around on their deal, unless they have a reason to move the vehicle quickly. In that case, their timeline will be variable and random... and it probably won't be based on the end of the month or year. So when's the best time to purchase a vehicle online? It may be a relatively easy answer, but we'd answer "whenever you find the best deal." If you've done enough research ahead of time, you should be able to determine what's a good deal for a specific vehicle and what is not. 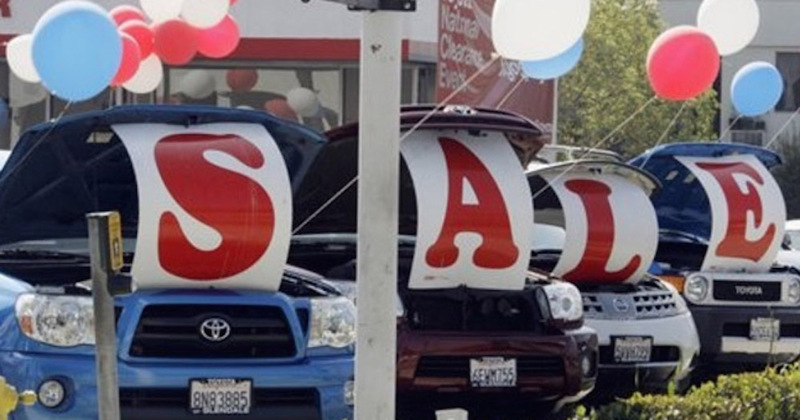 These online sellers don't have a dense inventory of vehicles like the dealerships, so every moment you wait is a moment the vehicle could be sold to another customer. If you've found a vehicle with a reasonable price, and if you've assured that the vehicle is operating to your standards, make the purchase as soon as possible. Don't let the deal disappear! As we mentioned above, you'll be able to identify the best deals if you've done your research. That might sound relatively obvious, but you'd be shocked how many customers enter the car buying process blind. They assume that all of the information that accompanies a listed vehicle (like the price, specs, features) is all they need to know. However, by ignoring all of the online resources, they're actually doing themselves a big disservice. A simple online search can help you determine which type of vehicle you'd want, which model or brand you'll want to target, and then which specific nameplate you should be eyeing. You'll want to remember the attributes you value most in a vehicle. While we'd all love to drive around in a sports car or a giant SUV, would that realistically be the logical choice if you have a lengthy commute? Also, when you do your research, you'll be able to get a better understanding of the available vehicles. While you may have previously backed yourself into a corner by targeting a specific brand or model, your research may show you that there are actually better options. Many people often forgo the research so they can make a quick purchase. This is the worst thing you can do. Buying a car is quite the financial investment, so you want to be assured that you won't regret your purchase. Finally, when we're discussing research, we're not saying you should only be searching for information on vehicles. We're saying that the research applies to the classifieds and car listings, as you'll want to look everywhere for your ideal vehicle (and accompanying price tag). By limiting your search to a specific area, you'll be limiting your options. Sure, it may be a pain to invest the extra time and effort, but it could save you from some aggravation in the future. 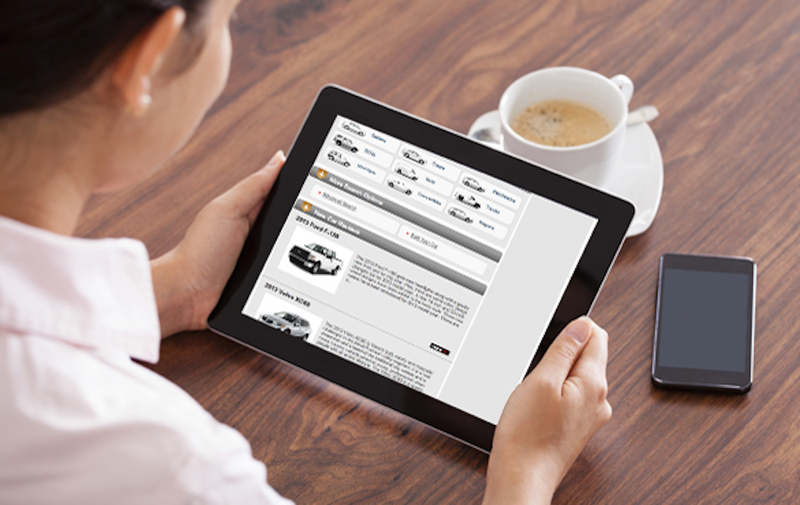 Follow these tips, and your online car buying process should be made significantly easier. After all, you’re trying to avoid stress by shopping online, right? Might as well make the experience an enjoyable one.